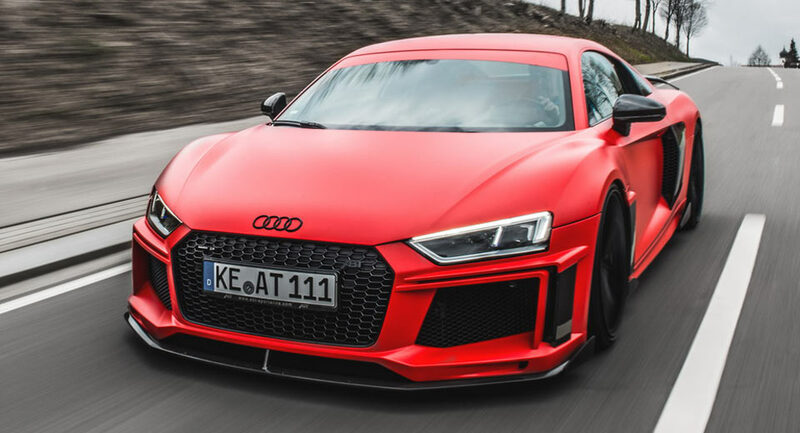 Audi petrol heads definitely love the R8 lineup, especially the top of the line R8 V10 Plus, the most imposing ride the carmaker has ever created in terms of power output. 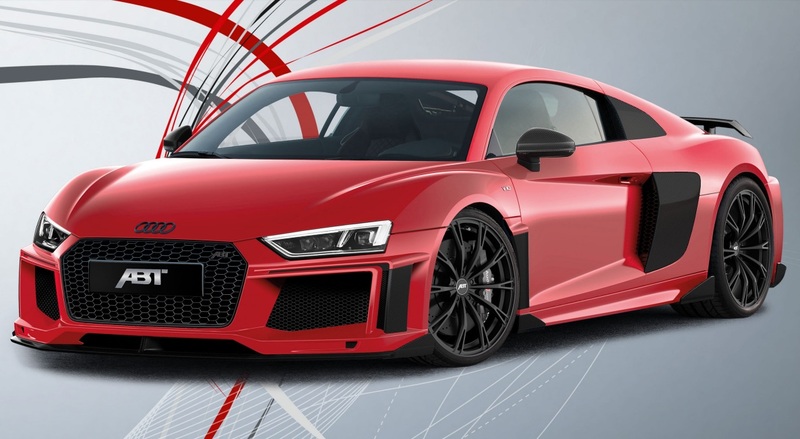 And even if you do not have the cash to buy such an impressive ride, and opt instead for the standard R8, you can also turn it into a genuine V10 Plus, thanks to the new performance kit now available at ABT`s garage. 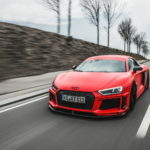 The technicians from ABT Sportsline tuning company are well-known for their dedication in turning a standard Audi model into a real beast, and for around 7,500 Euros, your regular R8 can squeeze almost as much power as a top of the liner. Visually, this lad here brags with the new 19-inch ER-F alloys in “black magic” (optionally, you can also get the 20-inch GR rims), adding as well some new body parts (carbon fiber panels, blades, wheelhouse ventilations, front lip) which would increase its overall aggressive line. 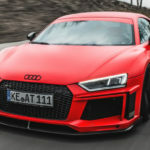 The car`s strongest point is the several other mechanical stuff line the new stainless steel exhaust system with carbon double tailpipe trims, airflow adjustment, and ECU remapping, all adding a significant power increase. 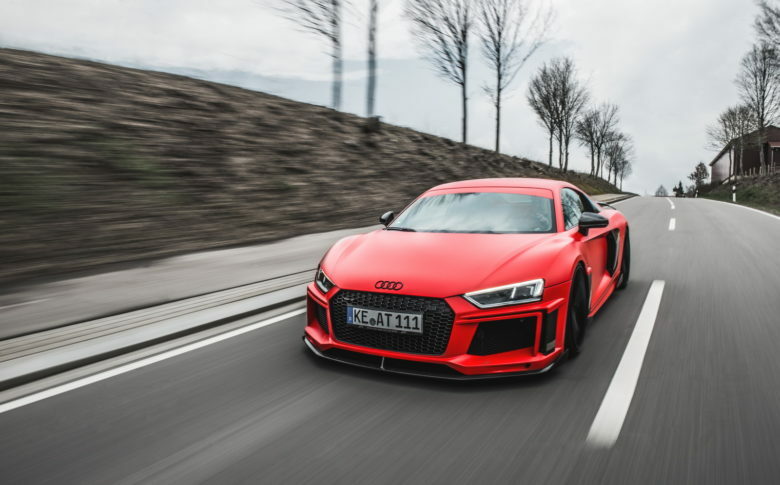 In standard conditions, the Audi R8 churns out 540 horsepower and 540 Nm of torque, but with the new power kit is now capable of something like 610 horsepower and 560 Nm of torque, which is quite impressive. 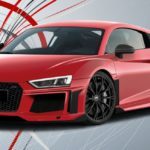 You can observe the exterior details of the Audi R8 by ABT Sportsline in the short media gallery below. It definitely looks mind-blowing!